Instead of a book review today, I am doing a review of book readers. I’ve been an active user of both Amazon’s Kindle and Barnes and Noble’s Nook, and would like to share some of my thoughts with you. I am doing this review for my Father-in-law, who is an expert in the field of Library Sciences. As schools move more towards using electronic devices in the classroom, it is important to use the best. He purchases the readers, and I get to be his lucky tester. Yeah for more books! This review is in no way sponsored, or supported by either Amazon or Barnes and Noble. Anyone that knows me knows that I love to read. And, I don’t just read, I devour. I currently have over 30 books on my shelf waiting to be read, and I go through an average of 2 books a week. Yes, I do this with kids, a house, and a hubby! Reading is my escape, but I am careful not to escape while there are things to be done! When I first got the chance to use Amazon’s Kindle, I was a little apprehensive. I love the feel of a book in my hands, and didn’t think I could get that from an electronic device. I was wrong! 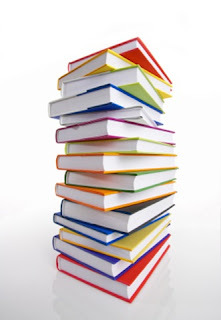 Both readers are easy to use, read like a real book, and have many advantages over paper books. How else could you carry literally thousands of books in your hand? With the reader’s large memory, you can have up to 1,500 books on hand at one time. Plus, with its 3G wireless capabilities, you can pick a book, and receive it, in under a few minutes. I can’t tell you how many times I’ve received a new book at midnight! Weekends, late nights, holidays… the bookstore is open and ready for instant delivery. When Barnes and Noble’s Nook debuted, I was just as excited to use it as I was the Kindle. 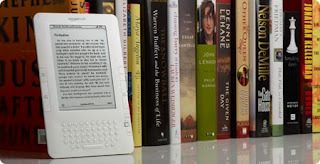 I figured that it had to have a tremendous leap of innovation and advances over the Kindle. The color screen is beautiful, and the books read just as well as on the Kindle. Now, both readers have amazing technological advances like the 3G network, lots of storage, PDF readers, and automatic backup. It’s really the simple things that get to me though. The fact that the Nook caused my husband, a computer genius, frustration at set-up was the first disappointment. Just the simple act of setting up an account, and linking the device to that account seemed more difficult than it should have been. The Kindle came with a much easier setup. The next step was searching the store, selecting a book, and downloading it. Both networks are fast and efficient. The Kindle is easy to navigate, with the help of a little mouse tool that cruises up the side of the screen to make your selections. I found the Nook to be more difficult to navigate. You control the movement at the bottom of the device, while trying to find where you are on the main screen. It is harder to maintain your position, and I often found myself selecting the wrong items and having to start over again. On some screens there are arrows; on others there is a scroll bar. The scroll bar seems backwards, having to scroll the opposite way that you are going. The multiple navigation methods just leads to confusion. The Kindle navigation menu’s are simple, and directive. I seem to have to search more for items on the Nook. The Kindle has a built-in keyboard. The Nook has a keyboard that appears on the screen when you need it, as when you are searching for a book. I prefer the Kindle keyboard, because of it’s ability to process key shortcuts. When reading, the Kindle has a one step bookmarking process. You simply press cntrl + B. When you desire to bookmark your page in the Nook, you have to wake up the navigation window, select Menu, select, bookmark, then select Add a bookmark. When you have kids interrupting your reading, it is much easier to use the Kindle to mark your place. The battery life of both reader’s are comparable. The Nook however, seems to have to be fully charged to even “wake” it. The Kindle can be used while plugged in, and can be used at even half charge. One application that I do appreciate on the Nook is the soon-to-come ability to share your books with others that also own a Nook. Sharing books is a great treasure, and the Nook is offering that. You can also change the screensaver to show different themes, or even a personal picture. The Kindle’s screensavers, while interesting, are not interchangeable. The Kindle is also the better choice when it comes to reading or sight disabilities. The font sizes can be changed on both readers, but the Kindle has larger sizes then the Nook. The Kindle also comes with a built in Audio reader for Audio-books. After using both readers, I do recommend the Kindle over the Nook. When settling down to read, I will be reaching for my blanket, my cup of hot chocolate, and my Kindle. What are your thoughts on this new ebook revolution? Do you own a reader? Which one, and what made you choose that one? I’m looking forward to the release of Apple’s IPad, as I’m sure I will be the “tester” on that one too! Omg I so want a kindle. The problem is that we just bought these book shelves..haha. I love to read as well and would do it for a job if I could. Urggg...Quit trying to sway me! I'm such a book junkie too. I always tell my husband how much I HATE B&N because I can never walk out of the store without dropping at least $50. But I love books, I mean actual books. The feel of the pages, the smell, the abilty to scan ahead when you just have to know what happens close to the end(I never fully peek!). And now the ebook craze. It's all so alluring! Well it seems like Kindle is the way to go then? I think you should get an iPad and then let me know which one of those you prefer. I know I'll eventually cave! I had a hard time giving up the idea of real pages too. The one thing that still bothers me is that it's not very easy to move around in an ebook. So, if you forget something that happened, it takes awhile to find it. As mentioned, my FIL will probably get the Ipad, so I'll let you know! I just got the Kindle myself. I'm a book junkie and was slow to jump on the ebook craze, but have found it to be a nice addition in my library - Really my purse. I take it everywhere and love downloading all the free classics. It wont replace actual books for me because I love them too much, but it sure is nice having those new releases already in the device when you wake up.